These fancy, tiny toasts are easy to make in big batches and a breeze to transport to your Thanksgiving dinner destination. The Fall flavor really comes through when you bite into the roasted grapes. 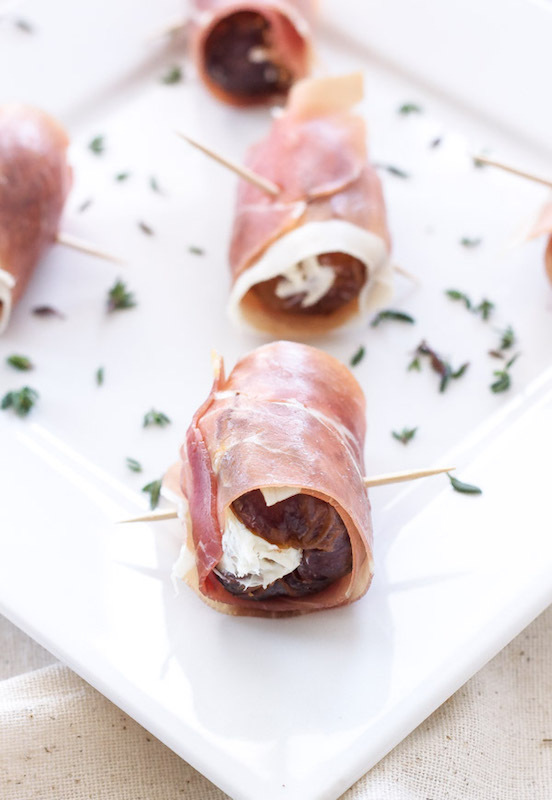 Stuffed with pecans, thyme, and goat cheese and wrapped in salty prosciutto, these dates are an impressive Thanksgiving appetizer that can be put together in very little time. 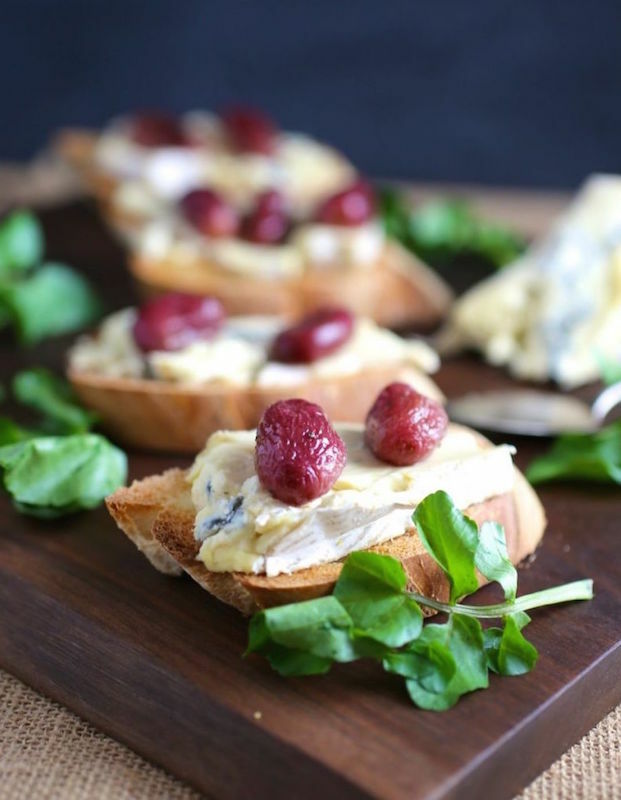 Need an easy, budget-friendly appetizer? 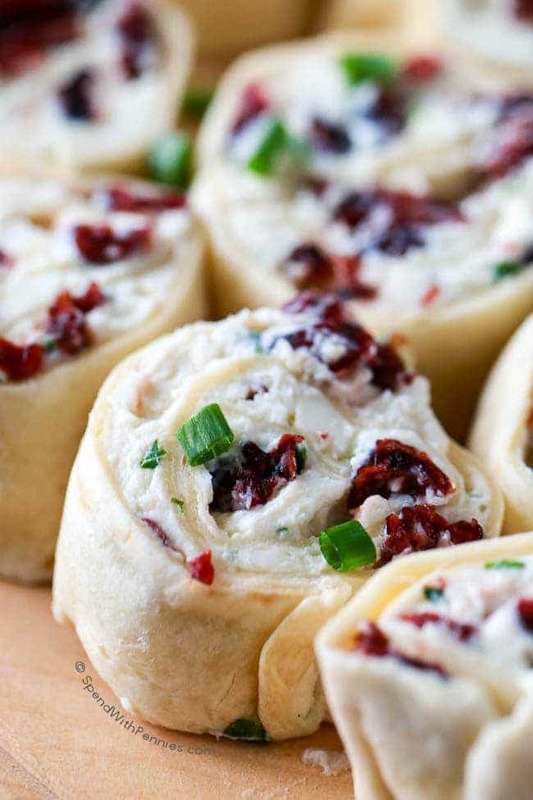 Try these creamy Cranberry & Feta Pinwheels! 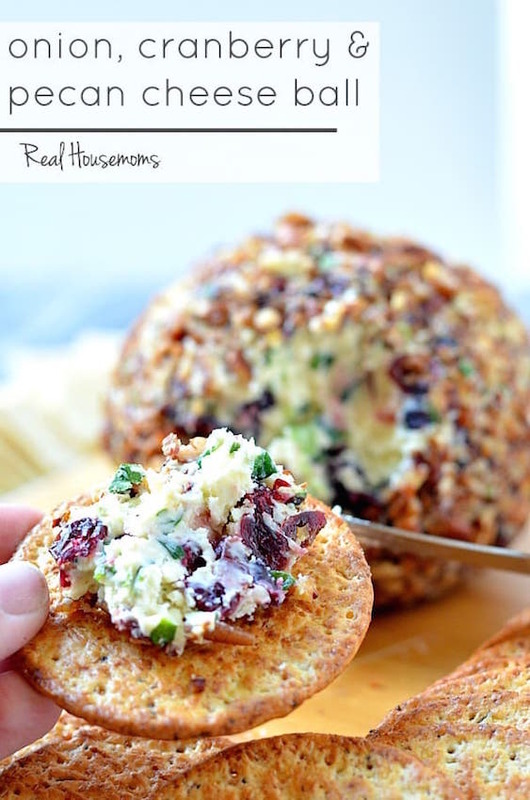 No holiday is complete without a cheeseball! This one combines seasonal flavors like cranberry & pecan with savory onion. 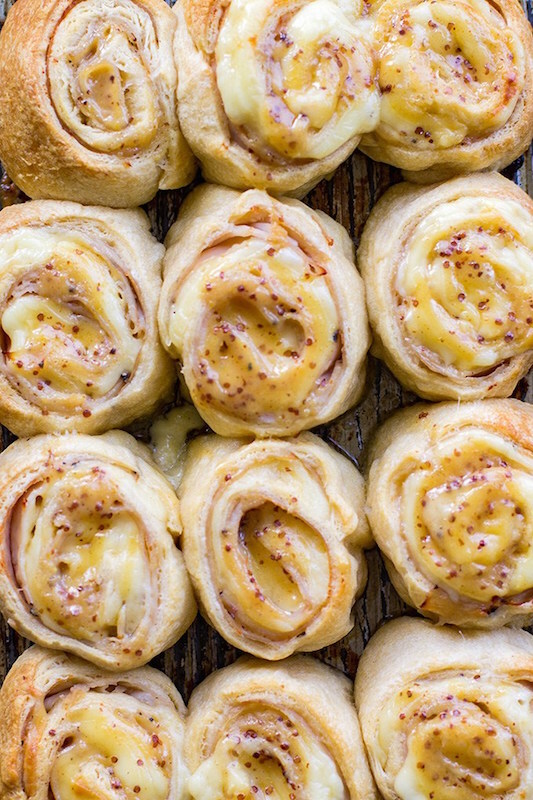 Warm, flaky croissants stuffed with Turkey & Gouda, then glazed with honey mustard? Yes, please! Shape & arrange on a baking tray, then cover with foil and pop them into the oven when ready to serve. 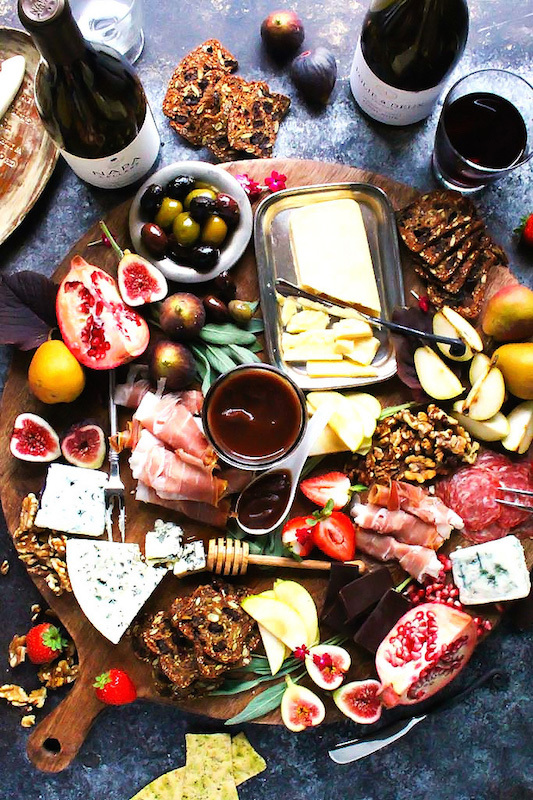 Impress your guests with a seasonal cheeseboard! Erin from Platings & Pairings shows you how in just four simple steps. 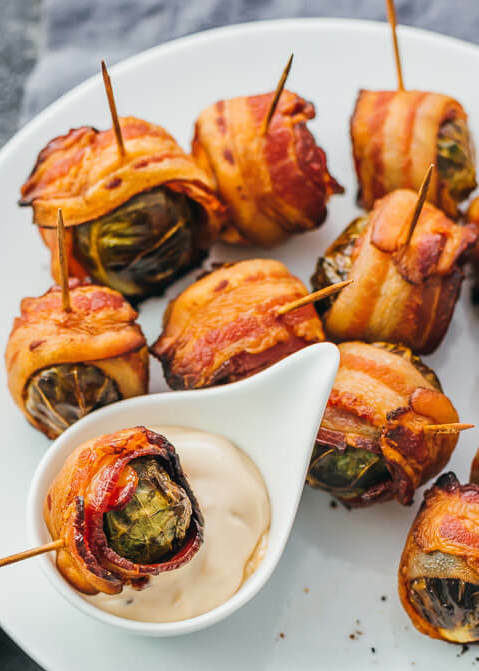 A fall appetizer favorite — roasted brussels sprouts wrapped with crispy bacon slices, dipped in a balsamic vinegar and mayonnaise sauce. Yum! 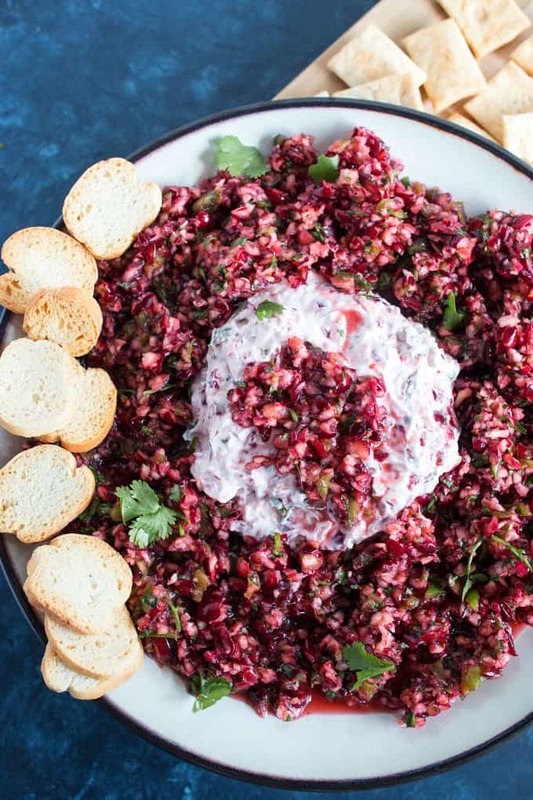 This creamy & spicy cranberry jalapeno dip is no-cook and can be made in 10 minutes or less. 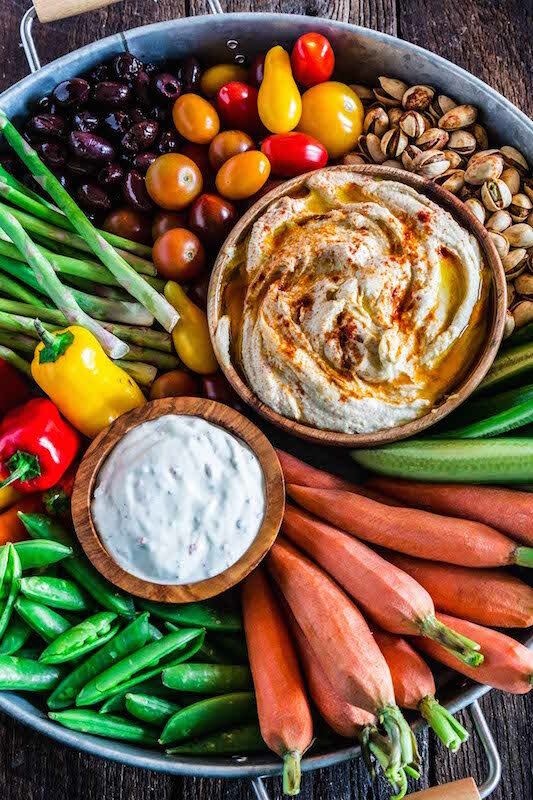 Olivia’s Cuisine shows you how to take an appetizer classic (veggie trays) and turn it into something rustic and beautiful with her easy to follow crudite platter tutorial. 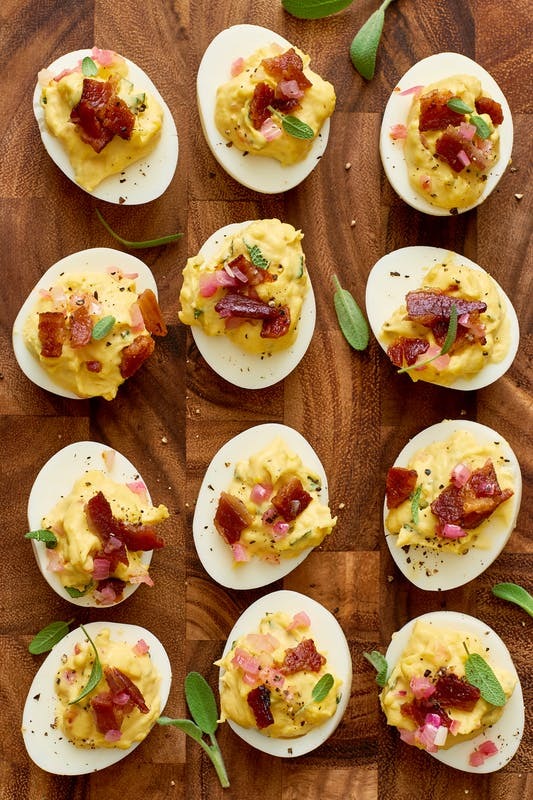 Put a Thanksgiving twist on deviled eggs by adding sage and shallots. These can be made up to 24 hours in advance.